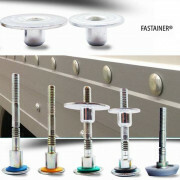 international fastener market both for suppliers and consumers of fasteners and fixings. Two million page visitors on a 3100-page fastener specific website. Visitors from every country on the planet.